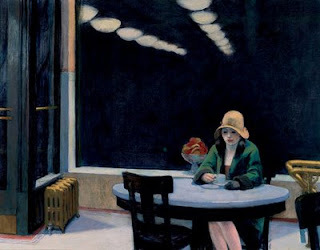 I've always liked this painting by Edward Hopper. I would love to read a writer's interpretation of this scene. 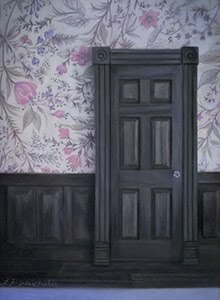 This painting makes me curious about the interior world of the character. Why is she sitting alone? Where was she before she sat down for a drink? Where will she be going after? Thank you for sharing that link. The article was very interesting. I never thought about the bowl of fruit being a central element.